Halloween is probably the most awaited major holiday of the year. Everyone irrespective of their age group looks forward to this occasion of dancing, treating and dressing up. Halloween would fall on October 31st this year which means you will have to start planning for some activities and parties that you have to organize for your friends and family. A major part would be to decide what little kids will do to spend the day once the festivities are done with. Coloring books would have to be an important part of the crafts you can organize with your kids. Little kids would love to color in spooky images on the day. 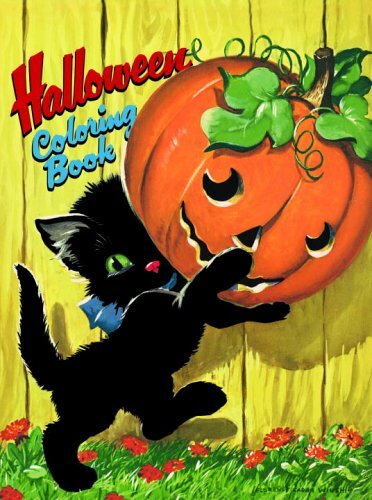 Here you will find some fabulous low priced coloring books specially designed for Halloween that you can purchase for your kids. This activity book will be really great for holiday crafts and even for school activities.Kids will definitely love this book for it's activities. 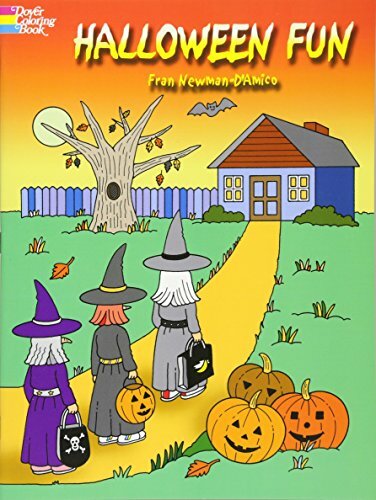 This 35 paged book is filled with picture puzzles and coloring images of witches, skeletons, ghosts and all other creepy creatures you can think of! 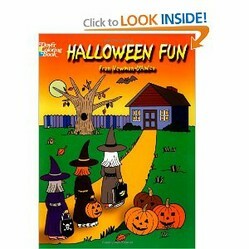 Kids will spend a magical time filling in the images and trying to complete the jack-o-lanterns and other puzzles. 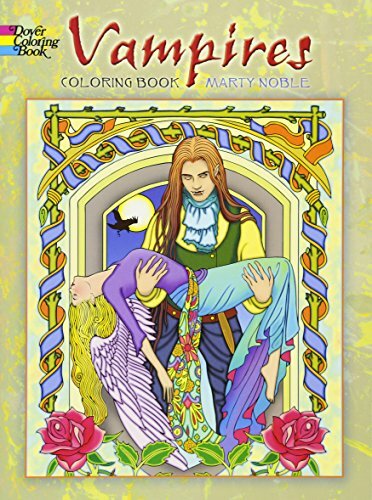 Below are featured two other fabulous publications from Dover Coloring Books. Both of these books will be a total hit on Halloween. 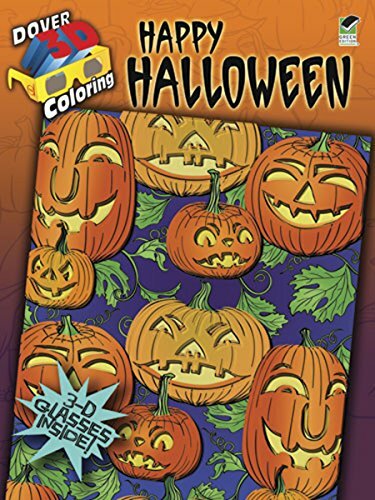 The first one comes with 3D glasses which will make the colored image leap right off the page! The effect of these glasses is awesome and will be loved by little kids. 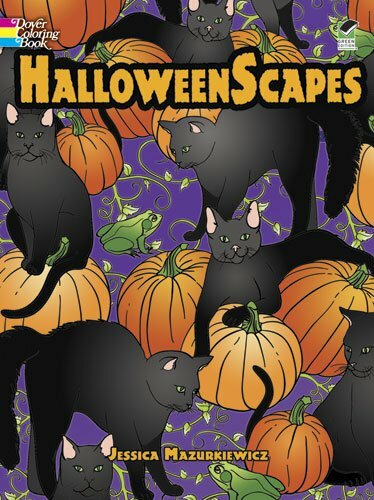 The Halloween Scapes contains images of everything creepy from witches to zombies. These images are somewhat detailed and will be perfect for adults who love coloring. Kids will also be thrilled to have such fun activities to spend their holiday with. The Kitty With a Pumpkin! This cute coloring book from Novelty books will be really appealing for little children. The front cover illustration catches their attention nicely and the activity world inside would have them engrossed in it in no time. The cutout Halloween activities along with other activities will be loved by your kids. Why should kids have all the coloring fun on Halloween??!! These coloring books are filled with realistic looking images of the undead. The detail of the images will have you occupied for hours. This can be the perfect gift for Vampire and zombie fans who would love to fill in the details in the images. 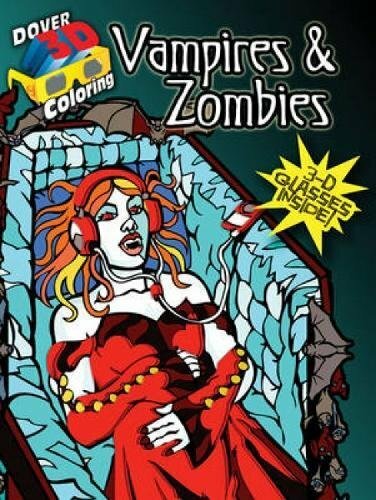 The 3D glasses included will help resurrect the dead before your own eyes. This can be the perfect Halloween sensation for adults!